This is a YouTube video that’s quite painful to watch. One of the biggest coupe heroes of the 1990s is seen crashing into another, resulting in two cars which are almost certainly totalled. But what’s perhaps more attention-grabbing than the sight of this E36 BMW M3 smashing into a parked MkIV Toyota Supra is the circumstances surrounding the advert themselves. Because they’re bizarre. It apparently happened during filming for a car shop’s advert, and the M3 belonged to a customer. Quite why drifting on a public road with a customer’s car is something any business would want to promote, we’re not sure. Perhaps there’s more to this story, but details are scarce. 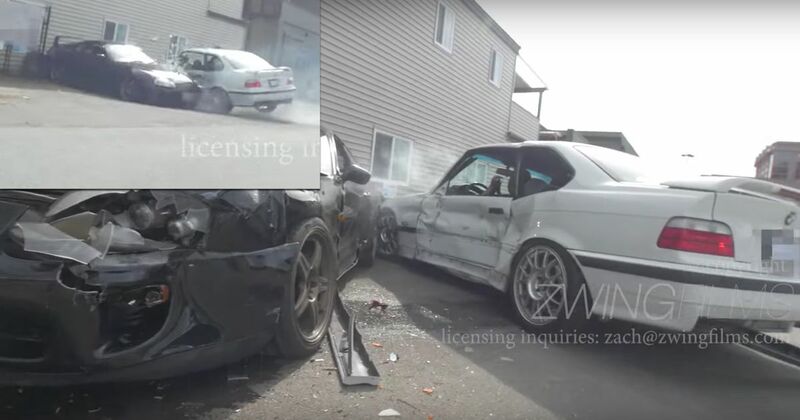 Several Redditors at least managed to work out that the crash took place in Richmond, Canada, but other than that, all we know is there’s now one less E36 M3 and one less fourth-gen Supra in the world.